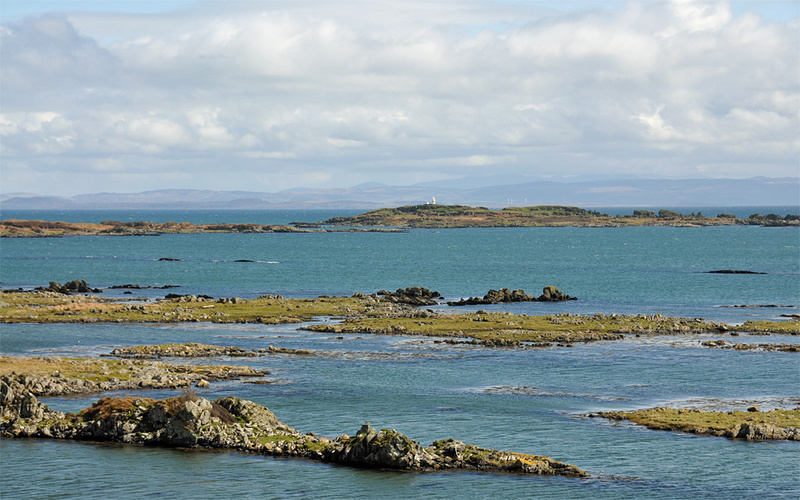 A nice sunny view over the southern skerries on the south coast of Islay. Eilean a’Chuirn lighthouse in the centre. Kintyre in the distance, also a few glimpses of Gigha (the community wind turbines towards the right of the lighthouse). This entry was posted in Cloudy Weather, Landscape, Lighthouses, Repost, Sunny Weather and tagged Eilean a Chuirn, Gigha, Islay, Kintyre, Southern Skerries by Armin Grewe. Bookmark the permalink.